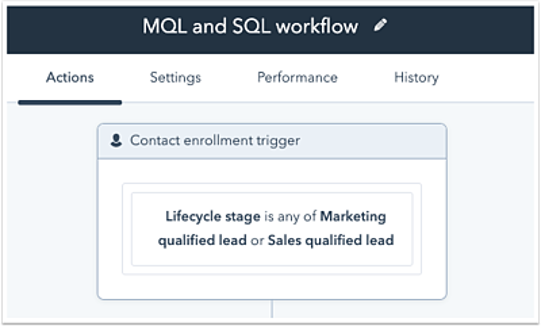 By default, objects are only enrolled in workflows the first time they meet the workflow enrollment triggers or are enrolled manually. Use re-enrollment triggers to allow objects to be re-enrolled in your workflows. When an object that has already gone through the workflow meets the re-enrollment trigger(s), they also must meet the original enrollment triggers in order for them to be re-enrolled in the workflow. If they meet the re-enrollment triggers but no longer meet the original enrollment triggers, the object will not be re-enrolled. 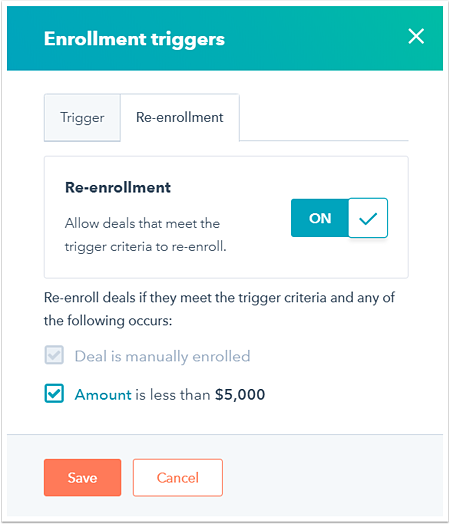 If you select more than one re-enrollment trigger, then each of those triggers can enroll objects independently. The object does not need to meet all of the re-enrollment triggers in order to be re-enrolled. Once re-enrollment is turned on, objects can be manually re-enrolled. 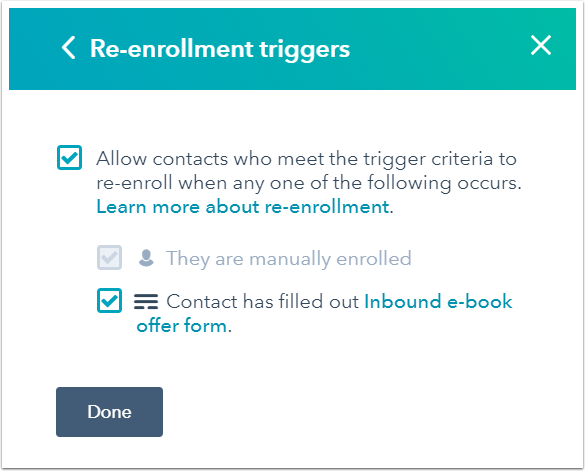 Contacts who are manually re-enrolled in workflows do not have to meet the starting triggers to be enrolled. Objects cannot be enrolled in a workflow more than once at a time, so if a contact is already active in a workflow when they meet the re-enrollment triggers, they will not be re-enrolled again. Some triggers cannot be used for re-enrollment. For example, contacts cannot be re-enrolled in a workflow based on company or deal property triggers. When a contact is re-enrolled in a workflow, they will complete all workflow actions again (e.g., receiving any automated emails). If you're using enrollment triggers that can be refined by date (e.g., form submissions and page views), the date restrictions set in the enrollment triggers will be mirrored in the re-enrollment panel, but those restrictions will not actually be applied. For example, if you have the enrollment trigger Contact has submitted any form between 1/1/2018 and 2/1/2018, you'll see that same trigger appear as an option in the re-enrollment settings. However, the re-enrollment trigger will be Contact has submitted any form, and will not honor the original date refinements. Click the name of a contact-based workflow. Click the Enrollment triggers box. In the right panel, under Re-enrollment, click Change re-enrollment options. 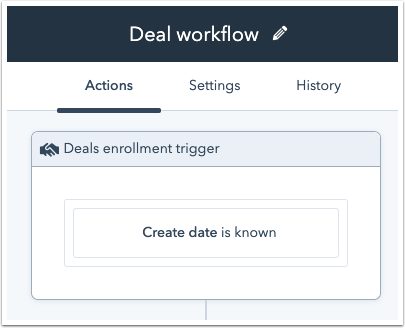 Click the name of a company-based, deal-based, ticket-based, or quote-based workflow. Click the [Objects] enrollment trigger box. In the right panel, click the Re-enrollment tab. Click to toggle the Re-enrollment switch on.